Salute To Seniors is a medium for "senior farewells". We wanted to give everyone a chance to salute them one more time as well as invite those seniors to tell their stories from the past four years. We will be posting this series through July, we already have a number of submissions and if you would like to submit check out this article for how to do so. My most memorable race was when I ran 16:35 at the (Monmouth) XC Counties held in Holmdel this year. It was a minute personal best from my junior year. Our team had also ran extremely well, we all ran personal bests that day and it was just a great day for us. I consider my biggest competition to be Will Spector from Manalapan. I consider him my biggest competition because we've always pushed each other when we go head to head in races. Also, he's become my best friend. We talk, hangout and play Fortnite together a lot and I just love having him as a friend and a guy I use to help push me more in races. He's come and run with me and some of the other Colts Neck guys and even then we are pushing each other just because we enjoy pushing each other and making each other better each and every day. My greatest accomplishment was running 16:35 at th XC Counties held at Holmdel. 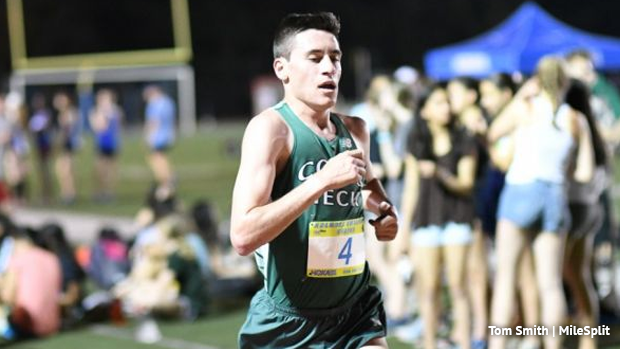 16:35 is tenth all time at Colts Neck High School. Being on a top ten list with guys like Matthew Schaefer, Kevin Berry, Anthony Russo, Jordan Brannan, Craig Forys and more, I never truly believed that was possible for me, and now having my name among the best is an amazing experience and something I will cherish forever. If you could do it all over again what would you change about your running or field career in high school? If I could do it all over again, I wouldn't have played football my freshman year and come out cross country of freshman year rather than sophomore year. The most difficulty I had to come over was definitely my iron deficiency. I had an amazing cross country season that year and winter and spring track came around and everything started going downhill. I didn't believe I could continue to run and I thought my career was over but with all the positive reinforcement from my teammates and coaches I worked harder than ever to get back into the best shape possible. I will miss my team and my coaches the most because that specific group of guys are guys who work harder everyday and they're constantly pushing me to be the best I can be and work harder than ever. I find them to be more of family than teammates and I believe I wouldn't be where I am now without the team work and constant support and drive provided by them. I would tell them to not screw around and to take it serious from the start. If they continue to work hard, they'll be capable of running times they never believed they'd be able to hit. Make sure that they have fun because the most important part of running is to have fun because with having fun follows the constant drive that truly keeps you in the sport. Coach Schlentz has had a huge impact on my life whether it's through running or throughout anything else. I can always go to him no matter what. He's always found a way to take the most negative thing in my life and change it around to make it positive. I wouldn't be anywhere near I am without Coach Schlentz, and I can't thank him enough for everything he's done for me. I am attending Marist College to continue running cross country and track. I will be majoring in Sports Communications and hope that it takes me on the path I choose to follow in the near future. I would truly like to thank my teammates and coaches for everything they've done for me these past three years and their constant drive to help me succeed and drive myself to be where I am now. I'd like to thank my family, my parents my sister and brothers and also my grandparents for always supporting me. I would also like to thank the people who didn't believe in me. Without you guys motivating me everyday there would be nobody to prove wrong. So being able to prove you all wrong was an amazing feeling. Go Red Foxes! 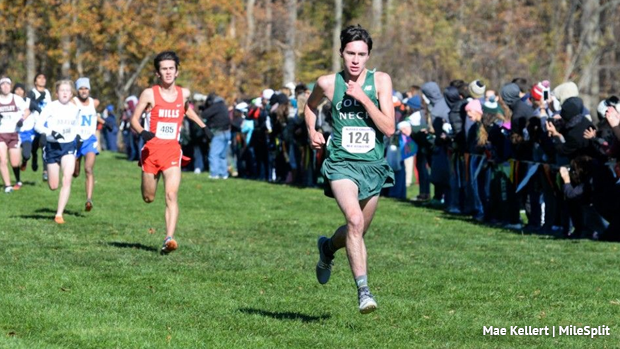 Colts Neck Boys will continue our streak of sectional titles in xc this year. Go break that school record boys! !